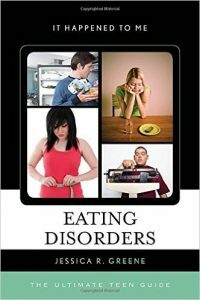 Recent studies indicate that 30 million people may suffer from a clinically diagnosable eating disorder at some point in their lives. Additional statistics suggest that half a million teens are experiencing disordered weight control behaviors at any time. The overwhelming majority of individuals who suffer from eating disorders are girls and young women between the ages of 12 and 25, but young males are not immune to the symptoms and suffer just as intensely . . . mostly in silence. Eating disorders affect not only those who battle them, but family members and friends who feel powerless to help. Intended to both inform and engage, this book also includes sample ‘quizzes,’ questions for group discussion, plus lists of resources for teens and their parents. 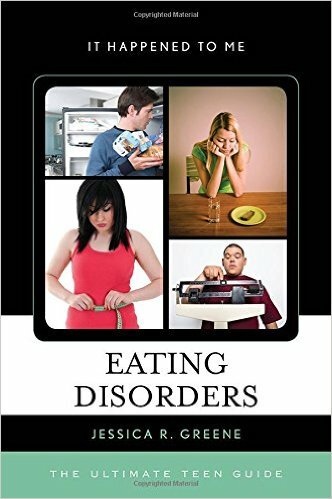 Filled with illustrative images and drawing on many real-life stories and quotes, Eating Disorders: The Ultimate Teen Guide will help young adults who are afflicted with all levels and combinations of disordered eating and exercise behaviors.